English Premier League sides Chelsea and Man United still have the chances of having the signature of Brazilian international Philippe Coutinho from Barcelona. It is as it is becoming obvious that the fans are unhappy with him due to his performances in games. The latest El Clasico match against Real Madrid in the La Liga increased the sour relationship between the player and the fans as he gave a not-too-good delivery in the game. There is no doubt that the Brazilian is growing in frustration since joining the Camp Nou about a year ago in a big money move from Liverpool. 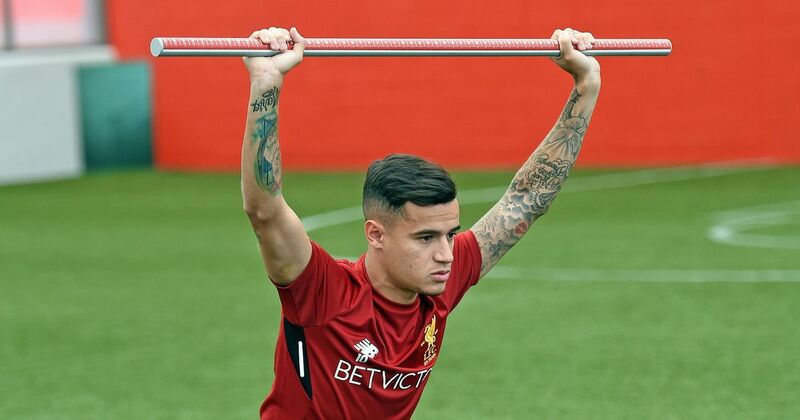 Philippe Coutinho has also not been in the good book of the press as he is being attacked for not justifying the big money that was spent to secure his signature. According to reports, the El Clasico game produced one of the worst performances by Philippe Coutinho as he is accused of being desperate to impress. This, therefore, means he could just be allowed to leave the club at the end of the season so as to cash in on him and have other options come in. Man United and Chelsea can now have the player should they make any meaningful bid. Three players from Spanish champions Barcelona made the team of the quarterfinals in the Champions League following their win over Premier League club Manchester United. The three players namely Gerard Pique, Marc Andre Ter Stegen and Lionel Messi were outstanding for the Spaniards who saw off Manchester United easily to secure a last four meeting with Premier League leaders Liverpool. Pique produced a very good outing for Barcelona against Manchester United especially in the first leg to help the Spanish champions to a 1-0 win at Old Trafford. The recently retired Spanish international also played well in the second leg which Barcelona won 3-0 though Lionel Messi was the star of the show after the Argentine superstar netted twice in the first half. Manchester United could not handle the threat from Messi who took his Champions League goal rally for this season to ten after the double against the Red Devils. Marc Andre Ter Stegen didn’t have much to do in the Barcelona goal over the two legs against Manchester United but he was able to keep a clean sheet. The list of the best players for the Champions League quarterfinals was compiled by media outlet Goal. The aforementioned Barcelona players would be hoping to play their respective parts in the last four tie vs Liverpool. Manchester United manager Ole Gunnar Solskjaer has lauded the impact of Barcelona superstar Lionel Messi following his performance against his team in their Champions League clash. Solskjaer was full of praise for Messi after the Argentine international captain scored twice for Barcelona in their 3-0 trouncing of Manchester United in the second leg of their last eight tie. In his post-match reaction to the game, the former Red Devils striker told reporters that Messi was the difference between the two teams. Buoyed by the quality of Messi, Manchester United were outclassed by their hosts. Barcelona had to overcome a nervy first five minutes before Messi scored the first goal in the 16th minute via a fantastic shot from the edge of the box. Messi added a second goal for the Catalan giants in fortunate circumstances after his right-footed shot squirmed under the body of Manchester United goalkeeper David De Gea and into the net. The second goal was a killer for Manchester United who needed three goals to qualify at that stage. Former Liverpool player Philippe Coutinho added a third goal for the home side just after the hour mark to secure the 3-0 victory as well as a 4-0 aggregate win for Barcelona after the two legs between both teams. Former Tottenham Hotspur playmaker Rafael Van Der Vaart has predicted the final teams in the UEFA Champions League (UCL) this season. The ex-Dutch international made his final prediction while he was on BBC Sports as he predicted a Barcelona-Ajax Champions League final. He was speaking after both Ajax Amsterdam and Barcelona moved a step closer to landing the big price with respective aggregate victories over Juventus and Manchester United. Rafael Van Der Vaart is delighted that two teams from the school of Dutch football legend Johann Cryuff are through to the last four of the competition. Johann Cryuff attained legendary status at both Ajax Amsterdam and Barcelona before his death. Ajax Amsterdam have been the surprising team of the season in the Champions League following their stunning victories over Real Madrid and Juventus. Real Madrid fell to Ajax in the last 16 via a 5-3 aggregate defeat before the Dutch Eredivisie giants beat Italian champions Juventus 2-1 away from home on Wednesday night to secure a 3-2 aggregate victory over the Italians. Barcelona are also in the final four after their dominant win over Manchester United. The Spanish champions defeated Manchester United 3-0 in the second leg to secure a 4-0 aggregate win over the former English champions. Manchester United manager Ole Gunnar Solskjaer has tipped Spanish champions Barcelona for the Champions League title this season following the Red Devils’ elimination at the hands of the five-time European champions. Solskjaer was speaking after Barcelona thrashed his Manchester United team 3-0 in their second leg clash to seal a 4-0 aggregate win over their two-legged Champions League quarterfinal tie. In his post-match press conference after the second leg at the Nou Camp, Solskjaer told reporters that he won’t bet against Barcelona lifting the Champions League trophy in June having seen them at close quarters. Ole Gunnar Solskjaer was unable to mastermind another great escape against Barcelona like he did with the Red Devils’ last 16 tie with French giants Paris Saint Germain (PSG). The Norwegian tactician and his players had suffered a 2-0 home defeat against PSG before they were able to turn it around via the away goals rule after a 3-1 victory over the French capital club away from home. Manchester United were outclassed by Barcelona in the second leg of their Champions League last eight tie after losing 1-0. Lionel Messi (2) and former Liverpool playmaker Philippe Coutinho scored the goals for Barcelona in their 3-0 home win over the Red Devils. Barcelona sealed a last four spot with a 4-0 aggregate victory over Manchester United. Barcelona skipper Lionel Messi revealed that the Spanish La Liga leaders were nervous at the start of their Champions League game against Premier League giants Manchester United. The Catalans played host to the Red Devils in what was the second leg of their quarterfinal tie having won the first leg at the Theatre of Dreams. Barcelona beat Manchester United away from home in the first leg via a 1-0 win with Luke Shaw (own goal) getting the only goal of the game. Manchester United started the second leg on the front foot in search of the goal that would bring them back into the tie. Barcelona were nervous at the beginning mainly due to the pressure from the English club but they were able to recover from that nervy start to win comprehensively. 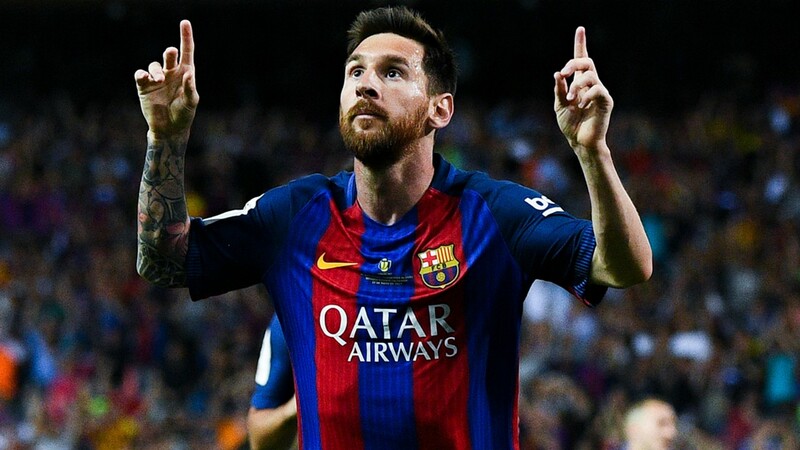 Lionel Messi confirmed the nervy start in his post-match thoughts after netting two goals in a 3-0 win over Manchester United thus giving his team a 4-0 aggregate win. The five-time Ballon d’Or winner told media outlet MoviStar about the nervy star from Barcelona. Messi scored twice within four first-half minutes before former Liverpool player Philippe Coutinho scored the third goal for Barcelona to condemn Manchester United to elimination from the competition. Barcelona will face either Liverpool or FC Porto in the semifinals. Manchester United legend Gary Neville is certain that his former club needs defensive reinforcements after the thrashing handed out to them by their Champions League opponents Barcelona. Both teams met in the quarterfinals of the competition but the Spaniards showed their clash at the expense of Manchester United with a 3-0 victory and a 4-0 aggregate win to secure a semifinal berth. While speaking on the disappointing loss suffered by Manchester United, former Red Devils right-back Gary told BeIN Sports that his former club will have to improve their squad defensively. According to him, Manchester United need a defensive revamp to be able to compete with big clubs like Barcelona. Gary Neville also said that current Red boss and former Manchester United teammate Ole Gunnar Solskjaer has a lot of work to do in terms of squad reinforcement ahead of next season. The Manchester United defence was not able to withstand the star quality of Barcelona superstar Lionel Messi who scored a first-half brace to set his team on their way to victory. Messi scored the first goal on 16 minutes before he added a second goal some four minutes later. Philippe Coutinho wrapped up the dominant win over Manchester United with a fine goal in the second half.